9. Do We Get a Grammy Now? Headliners Fuzz Culture were rounding off the night with their 3rd show in Hong Kong in as many nights before heading back to Delhi. Arsh Sharma (singer/guitars/electronics) and Srijan Mahajan (drums) pulled everyone in close from the fizzing and bubbling electronics of their ‘Intro’ before exploding into funk strut tracks ‘Midnight Delinquents’ and ‘Feeble Minds’ which both contained the same rhythm and feel as Daft Punks’ ‘Robot Rock’. ‘With Open Eyes’ continued the mid-tempo funk, heavily reliant on backing track guitars which included some Indian influence. Sharma whispering “I see you get a little bit colder as I see you get a little bit older” repeatedly before shifting up a gear to create another catchy chorus hook. The vocal effect added close harmony to his voice, creating a thick tone associated with NuMetal acts such as Limp Bizkit or Nickleback, as well as including reverse piano samples to add a sense of Linkin Park to the mix of influences. Meanwhile, Mahajan’s drumming was straight throughout, almost playing the role of Rage Against The Machines Brad Wilk. His dampened snare allowed for a sharp and tight sound, whilst instilling faint ghost notes which kept his parts interesting. ‘Hipster Smackdown’ and ‘Wolf in Sheep’s Clothing’ traded the Indian intricacies for heavier synth sounds and glitches, but certainly got the crowd jumping, singing and dancing along. Fuzz Culture concluded the night with tongue-in-cheek blowout ‘Do We Get a Grammy Now?’, a head-banger from the opening bar, with Sharma orchestrating a highly vocal crowd during this high-octane frenzy. Whilst FuzzCulture’s sound may not cater to everyone’s tastes, they are decisive in making themselves a visual spectacle, and make sure the crowd go away singing at least one of their choruses long into the night, whether they like it or not. Live review from Electro ROCKS! 8. Do we Get a Grammy Now? When you’ve got an act that won an award simply for existing, expectations are bound to be high. Luckily, India’s Fuzz Culture brought their A-game to their Underground headline set, wowing the crowd with sharp pin-sharp electro-rock and catchy melodies. 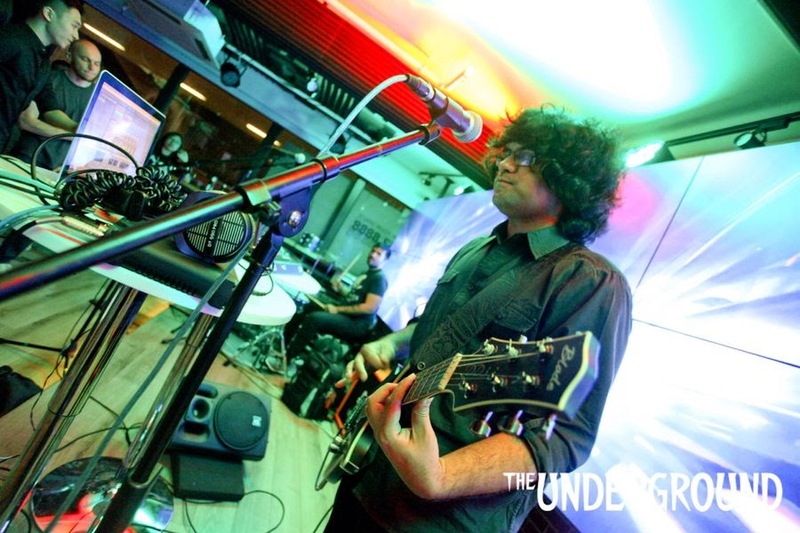 On their first visit to Hong Kong the duo – guitarist and electronic wizard Arsh Sharma and drummer Srijan Mahajan – made sure they wouldn’t be forgotten. The duo front-loaded the hits, opening with the distinctly Daft Punk-influenced Midnight Delinquents and Feeble Minds/Blank faces. The force of these first two tracks practically threw bodies to the wall: Sharma’s voice sounded huge as each electro-infused beat struck like lightning. The precision was emphasised when the beat suddenly dropped out, before the pause was shattered as both guitar and drums slammed back into the fray. Rather than straying into cliché territory on tracks like With Open Eyes, the group used South Asian inflections with care, creating a fusion that sounded spine-tinglingly effective over the shape-shifting Transformers-style music. 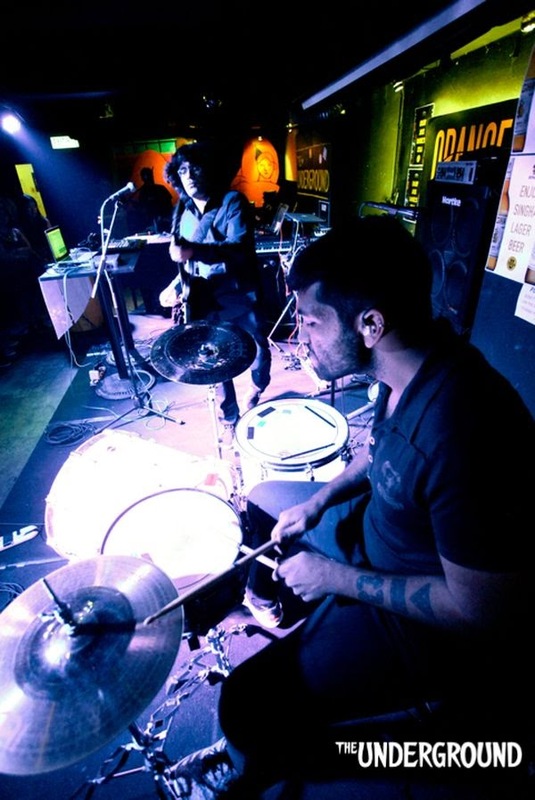 With a well-trained ear for a catchy vocal hook, Sharma had sanded his voice down to gritty grunge rock sound that evoked Kurt Cobain, Chester Bennington and Peter Hayes. Certain songs were almost too crisp: it was hard to believe Sharma was singing live as his heavily-altered voice, never wavered or dipped in pitch or volume, and it sometimes felt like the backing track was doing the hard work. Along with his bandmate’s lyrics, Mahajan’s rhythms could have been more creative, but the drummer kept it tight throughout. Inside a double encore with Beam Me Up, Do We Get A Grammy Now? was a punchy, shouty track inspired by the lack of Grammys that go to Indian musicians. Power rock and chanting audience participation signed the night off on a fun note, leaving an invigorated audience that would have been willing to party with Fuzz Culture all through the night if they had been allowed.